Sometimes, it seems like every other alcohol-free beer on the shelves is a wheat beer. Most are pretty decent too. So being named the world’s best alcohol-free wheat beer is no mean feat. 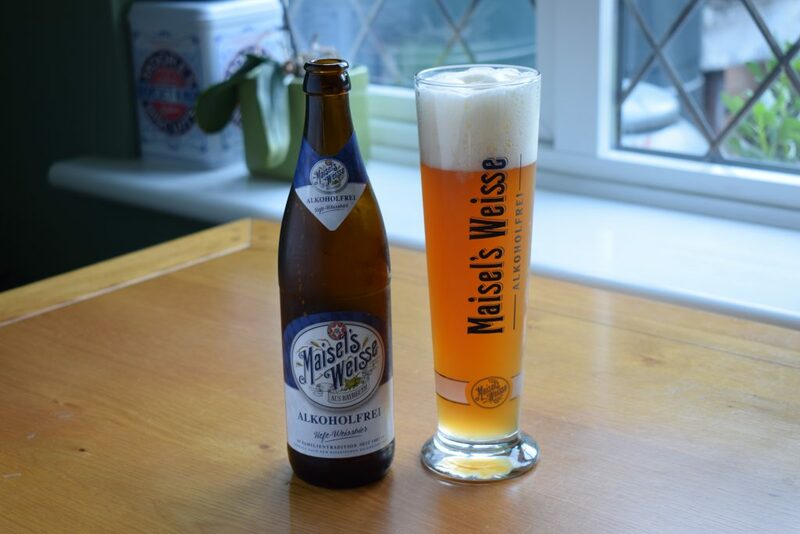 The current holder of the title – according to the World Beer Awards competition – is Maisel’s “Weisse Alkoholfrei“. The Maisel brewery was founded in 1887 by brothers Hans and Eberhard Maisel in Bayreuth, Bavaria. It’s still owned by the Maisel family, more than 130 years on and is now in the top five largest producers of beer in Germany. “Weisse Alkoholfrei” is the non-alcoholic version of Maisel’s wheat beer, which the brewery is most famous for. Having first brewed wheat beer in 1955, Maisel now produces five varieties of wheat beer including this alcohol-free (0.5% ABV) version. The brewery also recently set up the offshoot brand “Maisel and Friends” as an outlet for its US-style craft beers – a natural move seeing as current boss Jeff Maisel’s mother is American. Maisel brews all its beers – including most of its Maisel and Friends craft beers – to the German beer purity law. Therefore, Weisse Alkoholfrei only contains water, wheat and barley malt, spicy and fruity Hallertau hops and the brewery’s own yeast. A little darker than many wheat beers from Bavaria, Weisse Alkoholfrei pours a striking and deep amber colour. As expected with a wheat beer, there’s an impressive froth-moustache-inducing head and lots of lacing making rings around the side of the glass as you drink. The aroma is dominated by a clean cereal smell with sweet, fruity tones similar to ripe banana. The mouthfeel is smooth with low carbonation characterised by tight bubbles and a heavy texture. It’s creamy as it slides down the back of your throat. The balanced flavour makes it easy to quaff. The wheat taste is complemented by a touch of ripe banana and a smidge of clove spiciness. The finish is moderately dry and a little bitter, which sets you up nicely for another sip. 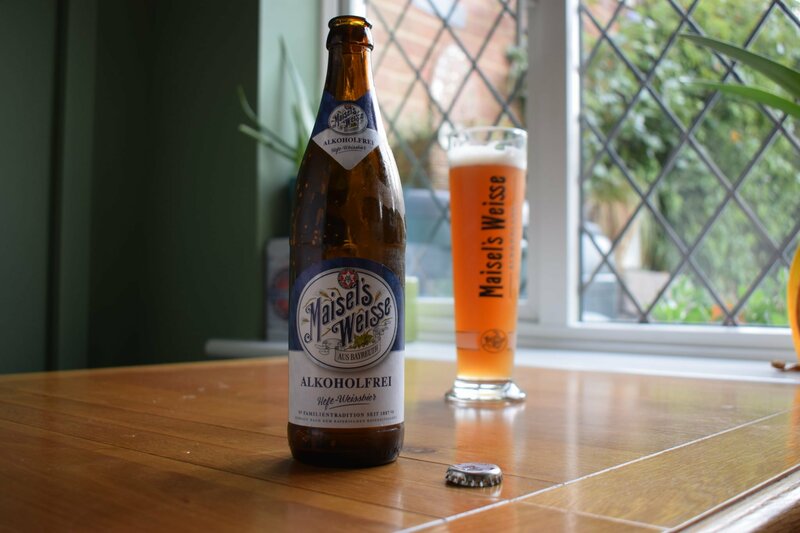 Maisel’s “Weisse Alkoholfrei” is a solid alcohol-free wheat beer. There’s a nice aroma, a delicious creamy mouthfeel and a decent flavour. 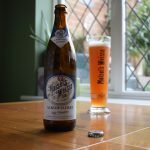 And, like most wheat beers, it’s fruity and not too bitter, so is a great option for those who don’t normally drink beer.